Immerse yourself in this stylish rejuvenated house w/designer finishes & a warm family atmosphere. 4 bedrooms (1 is used as an office) & 2 full baths. 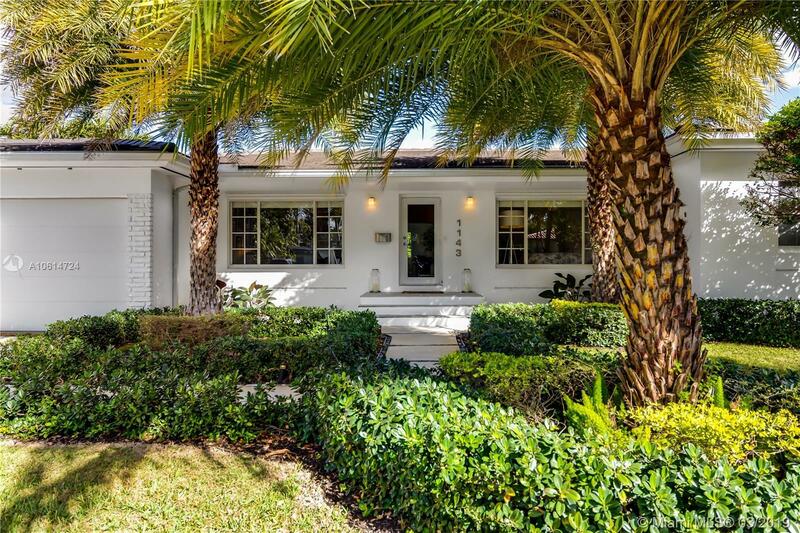 Located in the lush community of Miami Shores. Completely renovated, picture perfect kitchen w/newly installed elegant cabinets & an Italian marble accent-wall with dining bar. Beautiful Terrazzo floors accentuate the home's elegant style. Wood floors, well maintained & recently upgraded. Open layout, perfect for entertaining, with great natural light. 2 car garage with A/C perfect for a home gym & great for storage. Windows with shutters, & a new roof. Pool & patio with outdoor shower. Private fenced yard & nice landscaping. Near shopping, restaurants & Biscayne Bay. Quiet no-through street. Exclusive neighborhood with great schools. Directions: Access By NE 96th St Toward The Bay. Turn Left On NE 12th Ave And Turn Left On NE 98th St. The Property Is On The Right.